Knife and Tomahawk Throwing McEvoy, Harry K.
The twin sports of knife and tomahawk throwing have expanded so rapidly in recent years that keen competition has developed in many parts of the country.The techniques are similar but are, by no means, exactly the same. The thrower does not need to throw the weapon hard, but simply get it properly in motion so that it will make one smooth, even spin to embed itself into the target. Tomahawk throwing is a fascinating sport. It is easy to learn and even a minimum of practice will soon result in amazing proficiency. Knife throwing is not that simple. 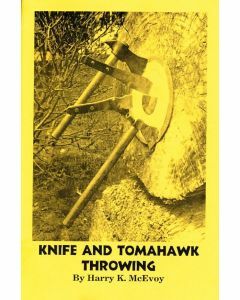 Knife and Tomahawk Throwing by Harry K. McEvoy will help you to get started and to improve you skills. Damascus Steel by Bill Moran includes the layering of metal, Forge welding, Ladder Pattern, Herringbone Pattern, Anvil tips, Heat Treating, Quenching, testing for Hardness, and Acid Etching. 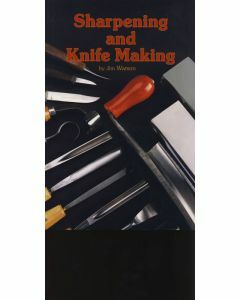 Knifemaking 1985 by Bill Moran includes basic knife forging, Start of Bird Head over horn of anvil, Narrow Tang, General information, Damascus Steel, Forging review, Forges, Handle for Narrow Tang, Hand operated Air Supply for forge, Jig for filing shoulders square, the Third Hand, Green River Knife, Combat Knife, points of Balance, Skiving & General purpose knife, finishing the blade Drawing the Temper, Heat Treating, Inlaying Silver Wire and Truing up Blades. 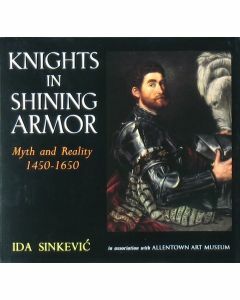 The knife as a tool or a weapon is one of the oldest artifacts in the world. It has been feared, loved and hated throughout the ages. Hardly any other country in the world comes close to Norway in terms of knife traditions. It is not so long ago that the knife was just as indespensable as car keys are today. The knife was the last thing you checked for before going to work. 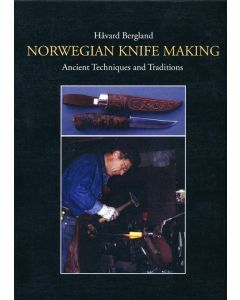 This book tells about knife making and the forging of knives. The author had as a goal to record and illustrate the essentials of other edge tools. 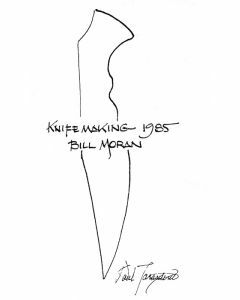 He hopes in this way to be able to contribute to the preservation of this part of his cultural heritage and that as many people as possible share in the creative joy of making a knife. To really sharpen tools the right way and do a god job, these are the two essential ingresients - practice and patience. It is most important to learn by hand the traditional way so you know what you are looking for and can see what you want. Once this technique is mastered, going on with the aid of power tools is the next step. "You can mess up a lot faster with a power tool than when you are workig by hand." A knife is perhaps the most basic and useful of all tools. When you have made a knife yourself and have shaped the blade just the way you want it and the handle is made to fit your own hand, a special relationship develops between you and that tool. Step-by-Step Knifemaking is widely regarded as a classic work on the art of handcrafted knives. 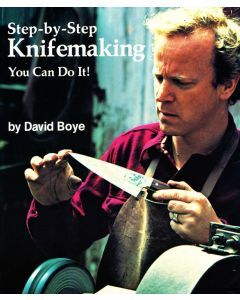 Master maker David Boye guides you clearly and eloquently through each stage in the design and fabrication of a knife. 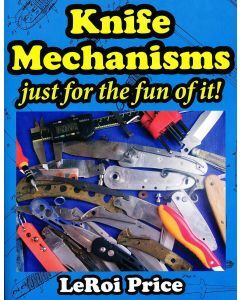 It is an inspiring, must-have resource for both beginning and experienced knifemakers.